Dr. Leonard ‘Lenny’ Lomax is the Founder & CEO of Ultimaxx Health an early stage “Natural” pharmaceutical company founded in 2009, that develops innovative solutions for pressing public health problems and consumer healthcare products that will help improve their general health and well-being. Dr. Lomax is a licensed Physician & Orthopaedic Surgeon. As a physician, he became tired of watching patients suffer as a result of the adverse side effects of many pharmaceutical products; side effects often so severe in some cases they not only led to addiction but in many, death. This didn’t settle well with his core beliefs. His passion for solving this problem, specifically prescription “painkiller” addiction, prompted him to develop his first safe and effective, “natural”, non-narcotic OTC pain remedy, LEVARE® (pronounced: la-var-ay), for which he received a prestigious patent in 2012. Patients and consumers can now have a much-needed alternative to prescription narcotics; one that is non-habit forming, versus those comprised of synthetic compounds that may cause addiction and other harmful adverse side effects. Dr. Lomax defines his role as a physician as being someone trusted by patients and their families. ‘Doctors are expected to heal, not cause more pain and suffering’. Dr. Lomax acknowledges that natural medications have the potential to greatly improve the public’s general health and well-being, as our country has become a nation addicted to pills, which is destroying our communities. Ultimaxx Health is currently focused on developing patented, clinically tested, “natural” non-narcotic OTC pain relief alternatives, metabolic mood enhancement supplements like “Advyndra™”, and human performance optimization products. Through Ultimaxx Health and with products like LEVARE, Dr. Lomax and his team will continue to focus on positively impacting the lives of many and on “Changing The World Naturally™”. 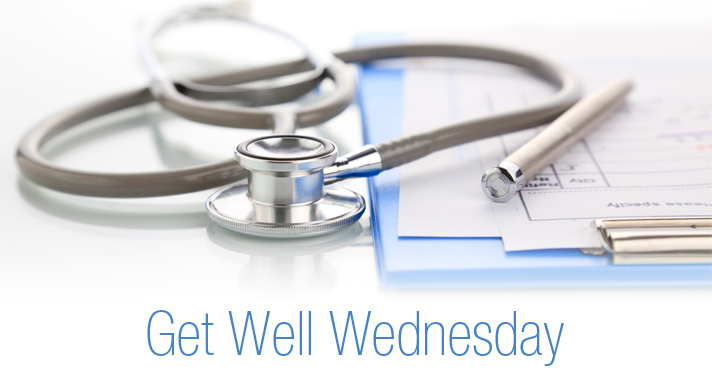 This subject for Get Well Wednesday is something that’s dear to my heart. My mother that lives out of state that is addicted to prescription painkillers. My sister visited her one time and she realized that she had several different kinds of pain medicine that she was taking. I just would like to know who was more responsible the doctor or the pharmacist that allowed her to pick the refills up without question? Our websites are www.ultimaxxhealth.org and www.levarepainrelief.com. Hi Doc, I can’t use anti-inflammatories due to asthma response, will I be able to use this medication without symptoms? Yes, you should be. It does have a small amount of white willow and devil’s claw in it, which are both analgesics and anti-inflammatory. If you try our LEVARE natural pain relief, start with small increments in order to determine if your sensitive to it. I am a cancer patient and I take Oxycontin for back pain. What are my alternatives? Thank you. Our natural pain reliever has worked great for folks suffering with various types of pain including cancer related pain. See testimonial of cancer center director on our website. What’s the name of the product Dr. Lenny talked about? My daughter is 16 and diagnosed with sickle cell disease, type II and goes through acute pain episodes. Sorry to hear that she is suffering. See our website for more information. Hey Doc, I found some hydrocodones in my closet from 1999. Are they still good to take? Maybe just less potent? Throw them away. They will potentially only cause harm. And being that old, wouldn’t have any efficacy at this point. So what pain pills should you say no to when your doctor attempts to prescribe you one? All opioids including Tramadol, and high-dose NSAID’s, COX-2 inhibitors e.g. Celebrex and Meloxicam are also very risky when used for prolonged periods of time. Has research been conducted that demonstrates the effectiveness of plant-based treatments? What are the side effects? Will insurance pay for treatment? Is it expensive? There has been extensive research done on many plant-based ingredients. Western medicine has just been slow to adopt them as first line treatment. Ironically, many synthetic prescription drugs were initially derived from a plant source. Most plants and herb ingredients, etc. are generally recognized as safe, however, given that many people in the U.S. are on prescription drugs, there are potentially very dangerous interactions that need to be researched prior to using them in conjunction. Each insurance company has a different policy regarding covering various therapies, however, most plant-based treatments are classified as supplements and many insurance companies are beginning to cover or reimburse for their purchase up to a certain amount. I am a transvaginal mesh victim, I suffer from excruciating pain daily. Please, how can I email the doctor? Answer: email me at info@ultimaxxhealth.com. My grandmother is a double amputee. She is provided Tramadol for pain which puts her to sleep. Can senior citizens get hooked and should I be concerned being that she often has phantom pains often? Yes, senior citizens can get hooked and it’s often faster because they can’t metabolize the drugs as quickly, so even small amounts can have a massive, long-lasting effect, which generally is negative. So yes, you should be concerned. Is it true that narcotics started being over-prescribed by doctors and hospitals back in the late 90’s and early 2000’s and because the government insisted that we treat pain as “the 5th vital sign,” and they threatened hospitals and doctor’s accreditation if they did not comply. Yes, this is true, but just because something was implemented/mandated a long time ago doesn’t mean that it has to stay that way, especially when it’s a flawed policy. Physicians are the gatekeepers and collectively can change all of this. Pharma companies and hospitals don’t write prescriptions, we do. It’s time for physicians to take control of this entire situation and change its course for the better. The public is suffering immensely and we are obligated to do something about it. Doc what the best way to get off Tramadol. The withdrawals are powerful? Correct, generally people should wean off by taking incrementally lower doses until done, and work with your prescribing physician to do it safely. Dr., I have several family members and friends on pain meds long term and in even in pain clinics. Why is the death toll so high from pain med use? Is it because people get so addicted they want more and more and end up OD-ing, or the affect the meds have on the body? There is no scientific evidence to support using opioids to treat chronic pain as they are highly addictive and have a host of other negative side effects, including respiratory depression (diminished breathing) which can lead to sudden death. Do all you can to help them get off of them ASAP. I have muscle spasms and chronic pain due to this. I’ve been on oxytocin 10mg for about 5 years and recently my doctor moved me to morphine 30mg. I had surgery on my shoulder where I got a nerve blocker. I tried to wean myself of of my meds but I woke up with sweats and a headache. What should I do in order to wean myself off of these meds? But I’m still in chronic pain. When you’ve been on them for a long time it’s definitely not fun weaning off, but it’s do-able. Typically weaning off opiates is not life-threatening like it can be with benzodiazepines e.g. Valium, Xanax etc. It will be uncomfortable but it’s necessary. Hang in there and try to get off them as soon as you can, they’re not really meant to treat chronic pain and are way too risky. Check out more information on our website. My 23-year-old son suffers from acute and chronic pain due to sickle cell pain crisis, asthma, and avascular necrosis in both of his hips and shoulders. His pain was controlled by Tylenol from age 3 up until age 4, until he broke his leg. So since age 4, he has been using morphine and other opioids. Although my son experienced great pain, I would limit and scale down his intake of opioids because from the age of 15, I had a fear of him becoming addicted. Once my son hit age 18, the docs inferred that my parental rights were secondary to my son’s care. My son is now a dependent of these opioids at very high doses. He is now treated like a street drug addict when he comes into the emergency room, but prescriptions are still being written for him. I’m so frustrated. Your frustration is indeed warranted but don’t give up. Your son’s body is now chemically addicted to opiates as they are very powerful. Unfortunately, they really aren’t meant for chronic pain. See if you can find a local addiction medicine specialist e.g. a psychiatrist or naturopath that specializes in addiction medicine, natural and complementary treatments. There are much safer alternatives and people generally aren’t aware of them because of the way Western medicine emphasizes prescription medicine for any ailment or condition. Encourage your son to not be dismayed by the behavior and attitudes of the physicians in the ER’s etc. as this is common and generally a result of the medical/healthcare environment.